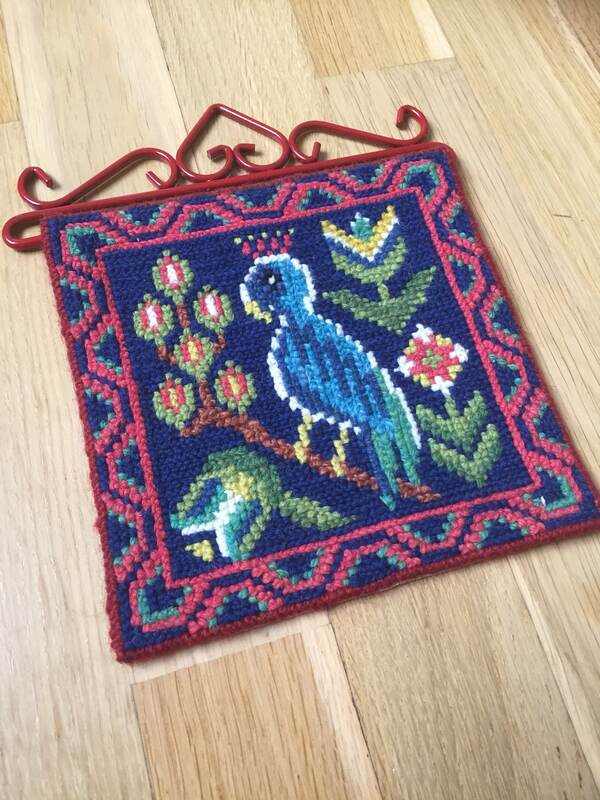 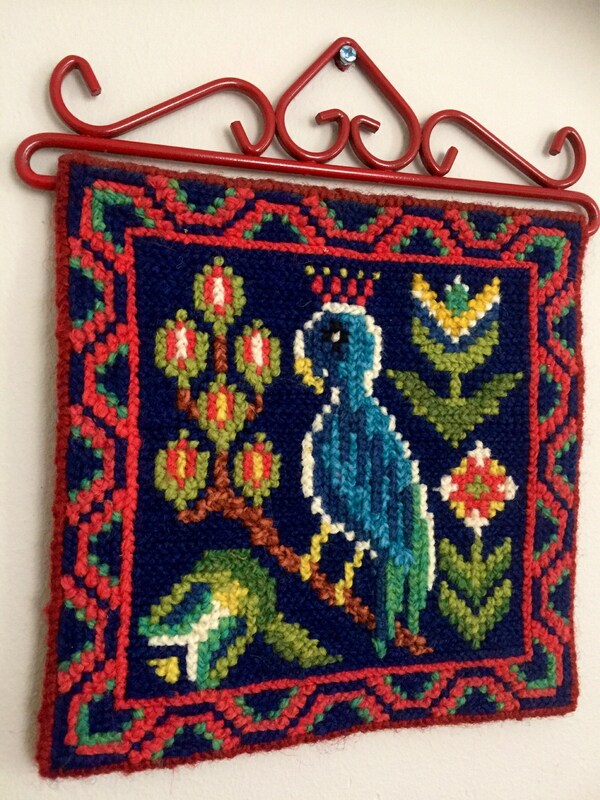 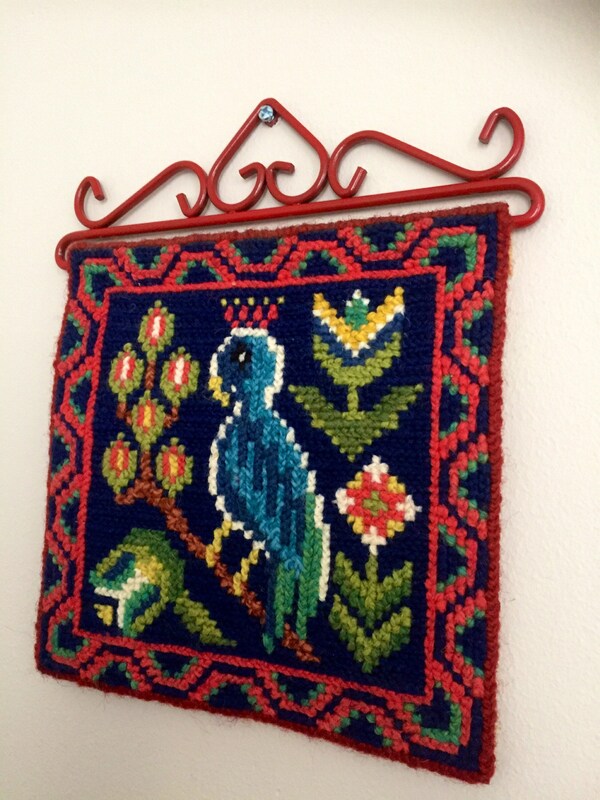 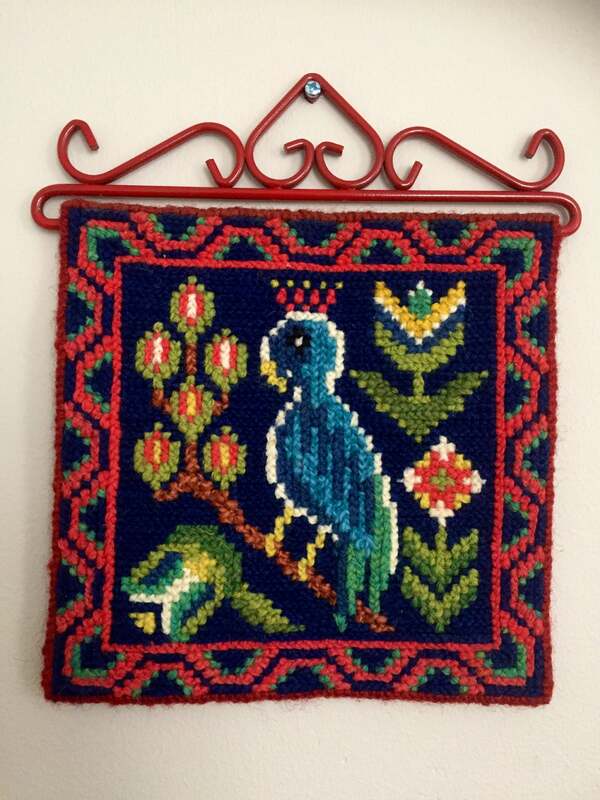 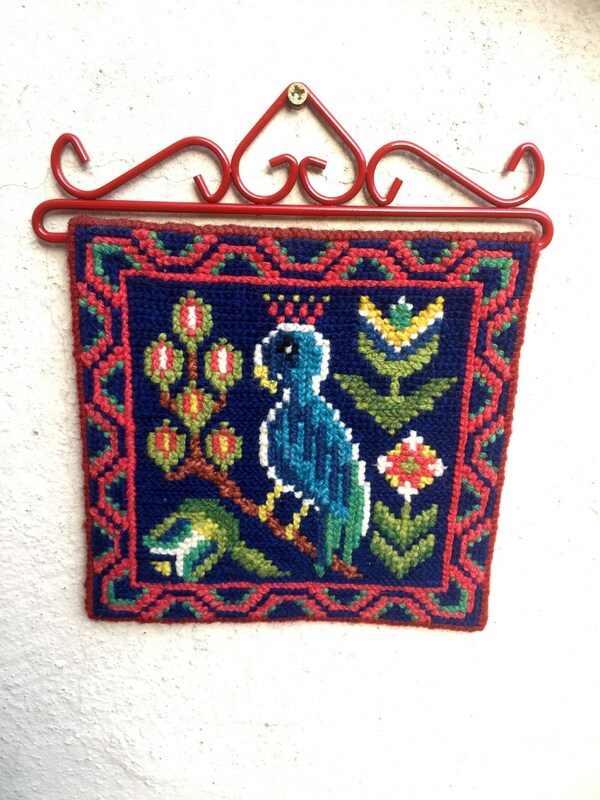 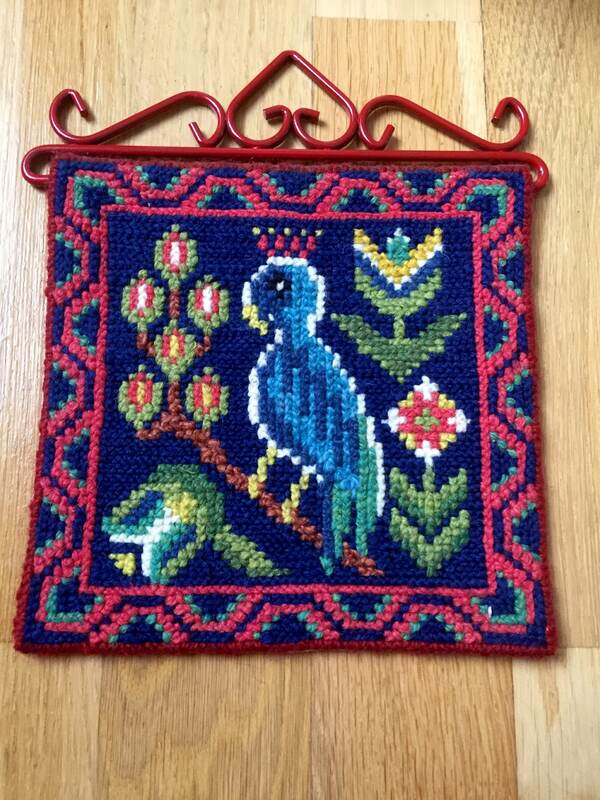 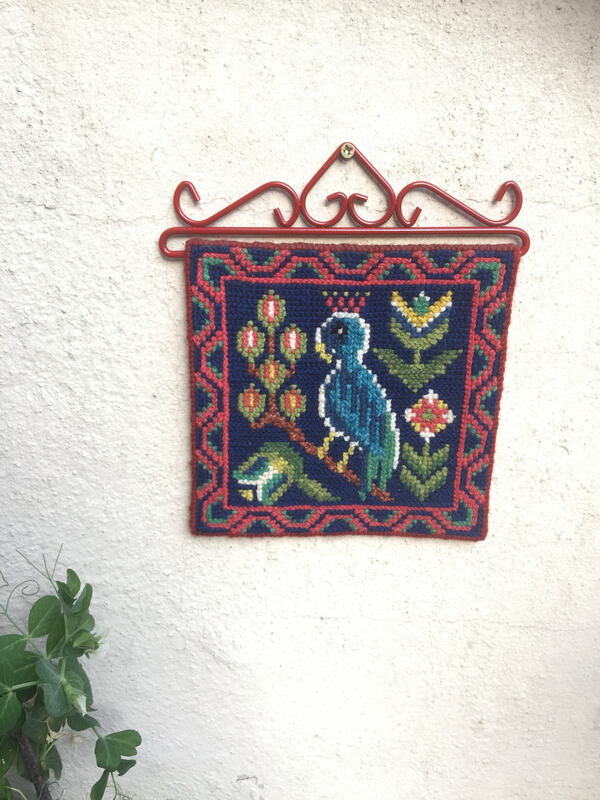 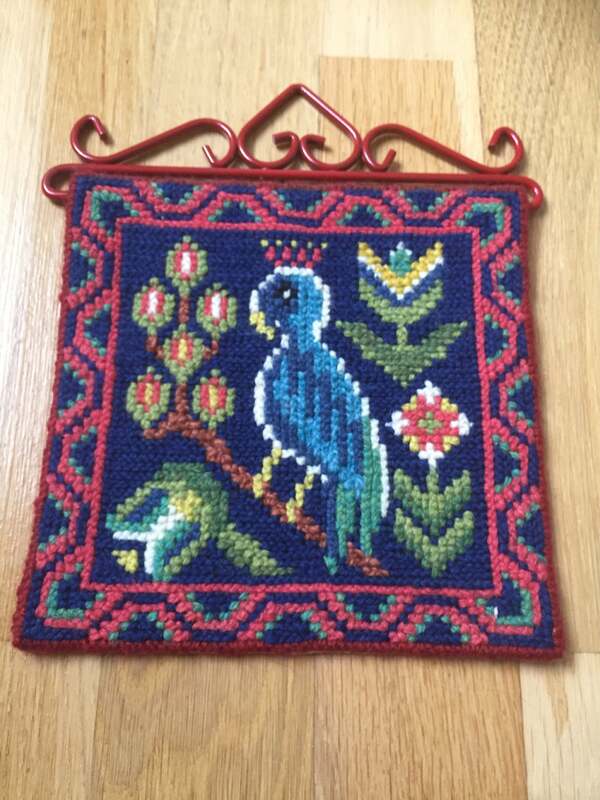 This is a Scandinavian traditional embroidered needlepoint wall hanging in vibrant red and blue colors. 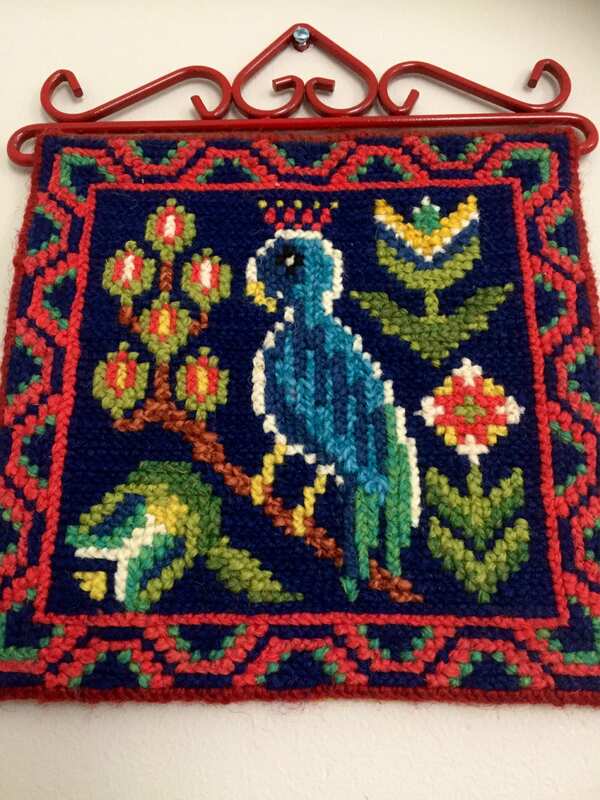 It includes a red hardware hanger. 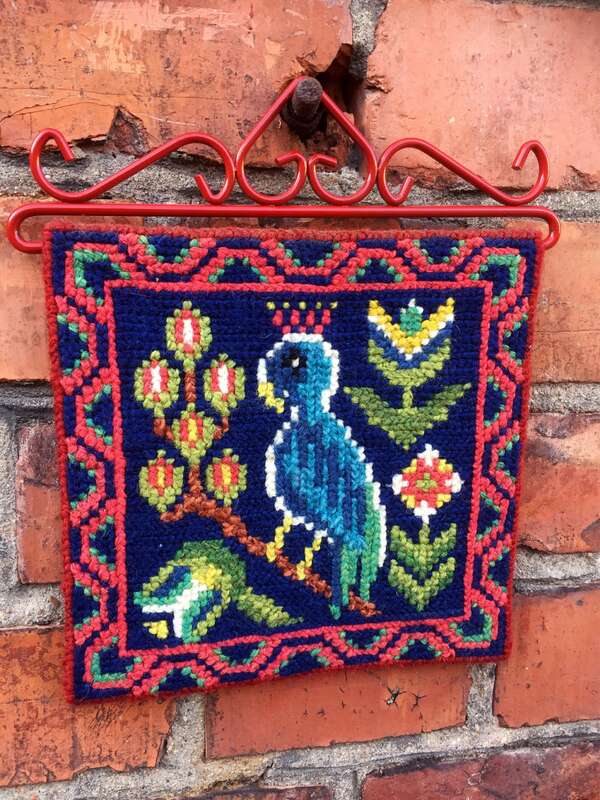 The motif is of a beautiful bird perched on a branch with folk art flowers in the background and a traditional Scandinavian embroidered border.